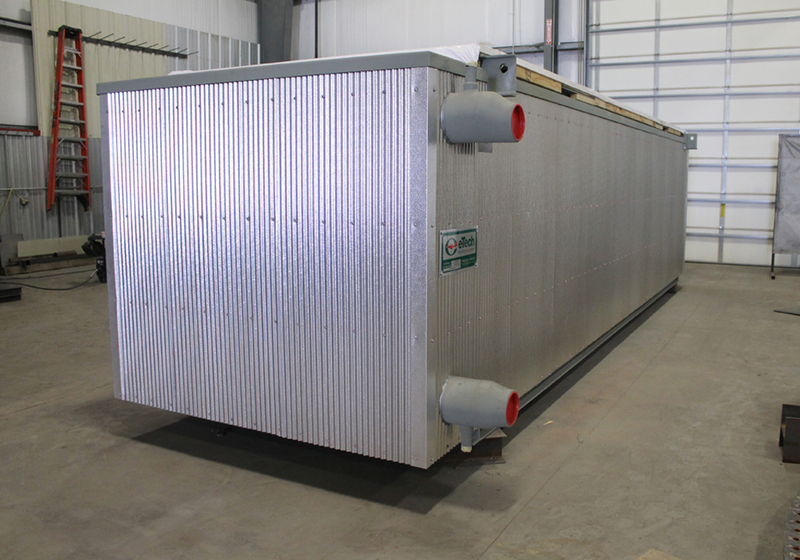 Box Economizer. 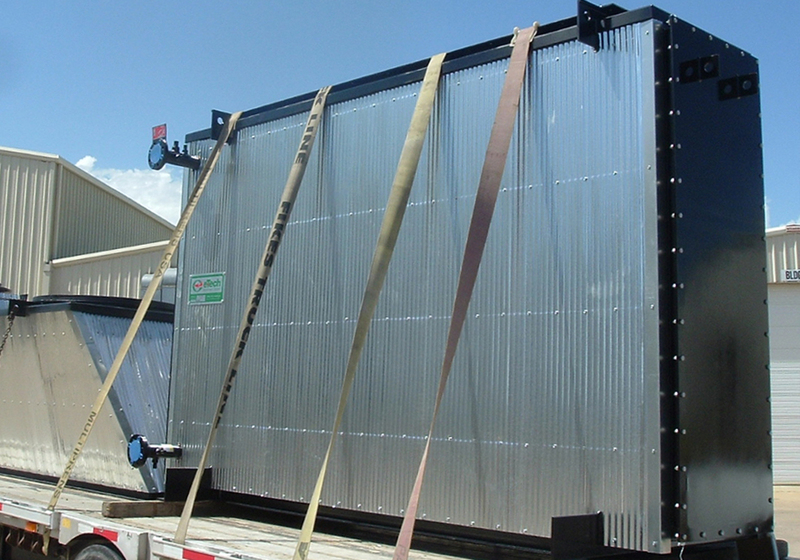 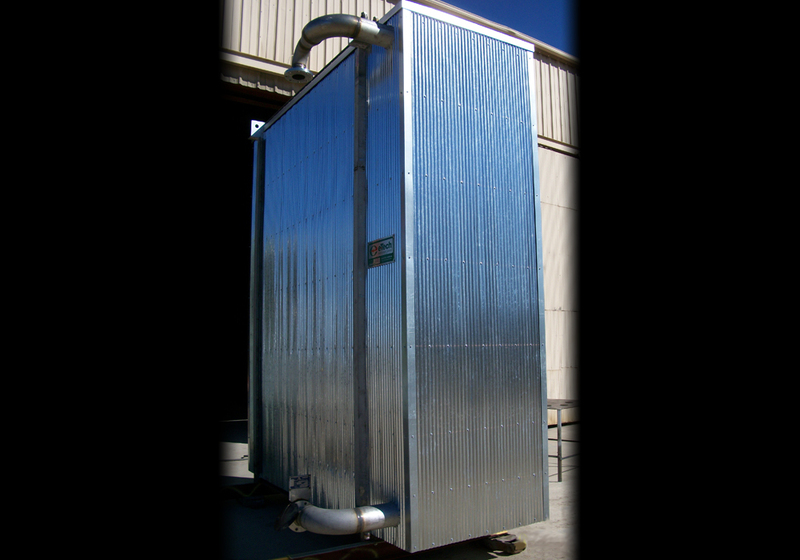 Vertical or Horizontal Gas Flow Installation for Larger Boiler Units. 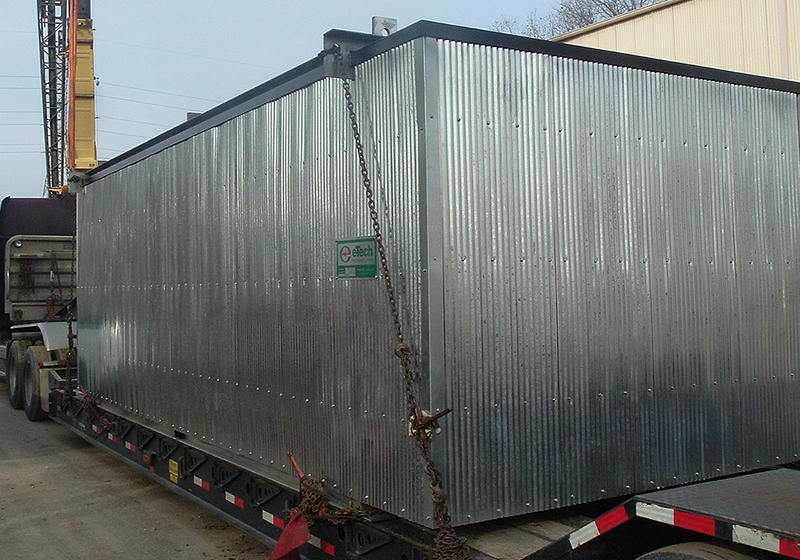 Custom designed box economizers, with capacities ranging from 10,000–250,000+ pph. 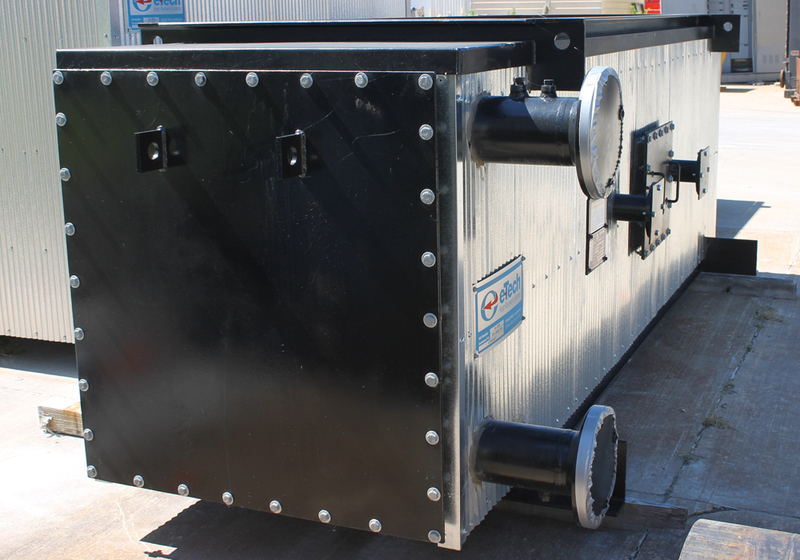 Our box economizers lower flue gas temperatures by preheating feedwater entering the boiler. 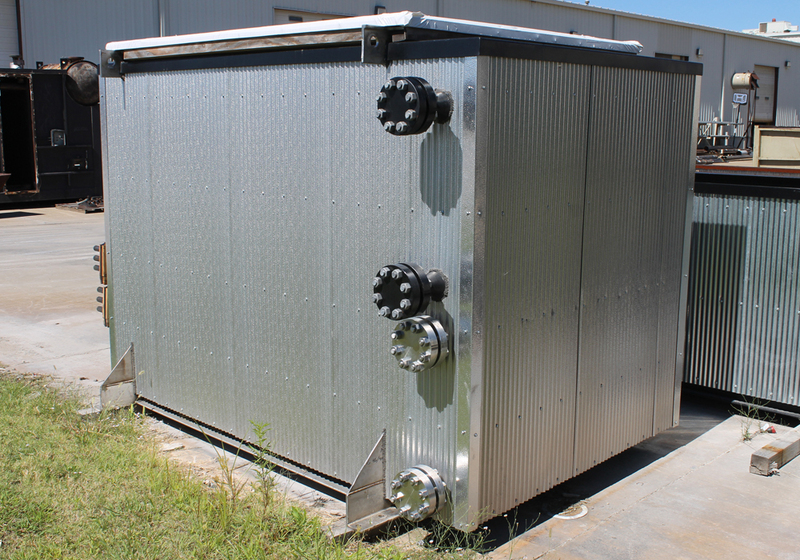 The rise in water temperature allows the boiler to produce steam using less fuel, thereby significantly lowering fuel consumption and costs. 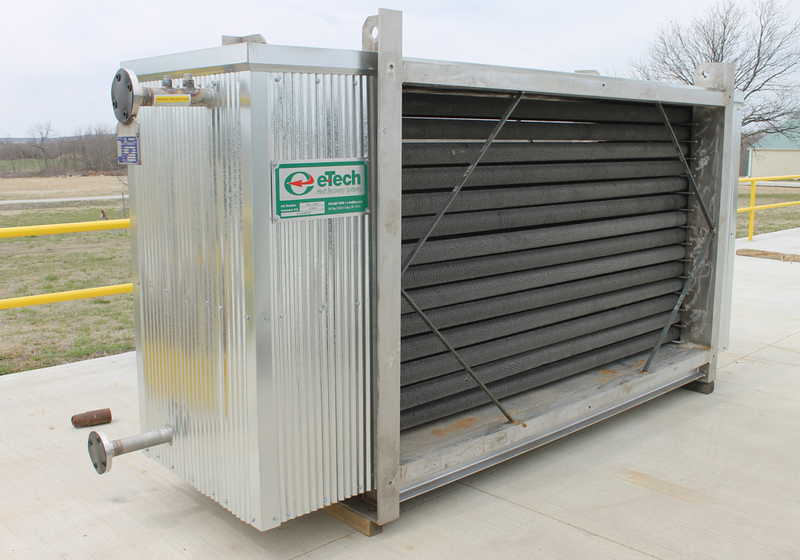 In general, E-Tech box economizer customers realize a 1% increase in boiler efficiency for each 40°F decrease in flue gas temperature.